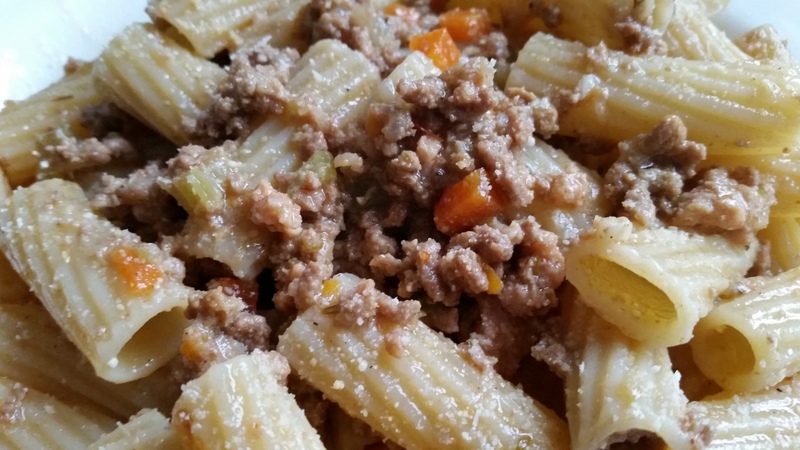 Bolognaise is one of the most common form of an Italian Meat Sauce that’s popular the world over. However there are no standardised recipe and presumably every family have their own version largely influenced by which part of Italy they come from. When I came to UK first I got introduced to this very tomato rich sauce with mince meat and often had mushrooms thrown in. Most of the generic ones that I had tried used to repeat on me and I found them very acidic. That put me off initially and then I would not order it from a menu based on my prior experiences and the same went for Lasagne. But I liked the concept. It was much later that I started researching it and got drawn back into it so much so that I wanted to create a version that agreed with me. In 2007 Heston Blumenthal had a show on Television that got my attention. It also revolutionised the way I perceived Bolognaise Sauce. He used milk like they use in certain parts of Italy that I previously did not knew could be done. So I simplified the process to suit me and came up with my own version. You can also read about different techniques on The Guardian’s website here or follow a close version of the original recipe here on Kok Robins’s blog. I am not claiming any authenticity here but this is a recipe that I have come up using easily available products that tastes good and is not overly complicated. This is also a healthier version where I have cut out some of the initial oil, used lean mince and have not used any cream or butter at the end. It does take a bit of time but its the time that makes this sauce in my opinion. The amount of each each ingredient varies as I do not have any fixed amounts yet so most of them are approximation. Heat oil in a heavy bottom casserole dish. Add the chopped garlic and chopped chilli and stir. 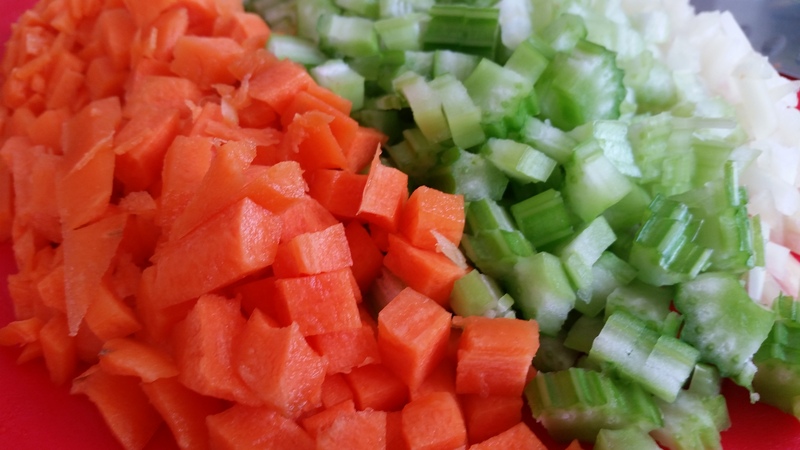 After a minute add diced onion, carrots, and celery. Sprinkle some salt and sweat it over low to medium heat with the cover on for about 20 mins stirring often. Turn up the heat and add the white wine. Fry for a bit longer but without browning the vegetables till the wine is absorbed. Now add the mince meat and the sausage meat. Fry and break up the chunks as you go along. Now add the Worcester Sauce, fish sauce, and salt and pepper. Add the Bayleaf, thyme and star anise. Stir for a about 10 minutes and then add just enough milk to cover the mixture. Now bring to a boil and simmer on a very very low flame for about one hour stirring occasionally. Now add the tomato puree. 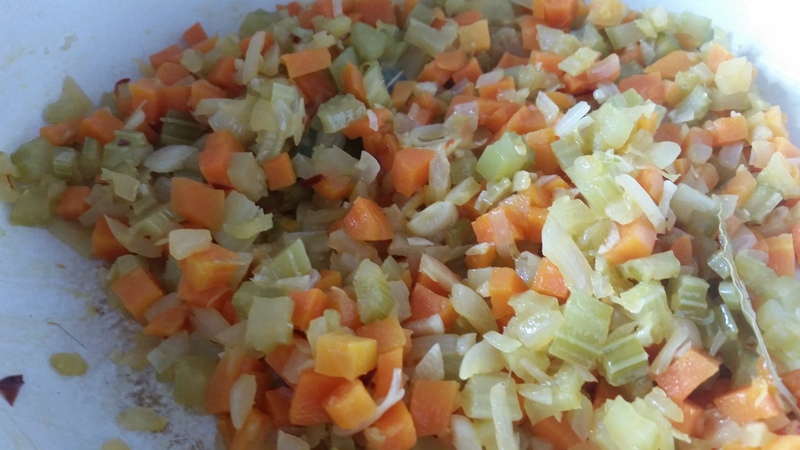 Add any vegetables if you want like mix veg or peas if you wish at this stage. Stir and simmer on low flame for a further 30 minutes. Check for seasoning and serve with a good quality pasta with grated Italian dry cheese on top. We also use the same sauce to make lasagne at home using shop bought lasagne sheet (also green lasagne sheets), home made bechamel sauce and little cheese on top. Update N8vember 2018: I have recently found Aldi selling a 5percent fat Beef and Pork mince in a 750 gsm pack and have used it instead.